What would you do if a King chose you as his new wife knowing you’d be dead the next day? I found out today, not every beautiful maiden is like me, in fact one was brave enough to accept her fate with one hand- storytelling. Yes, she told stories which gained her an audience and something greater than her life- the King’s love. Scheherazade does not simply postpone death by enthralling the King in her storytelling : she engages with death. After the first few nights it no longer matters if a story is left unfinished at the coming of dawn, it is through the intricacy of the story…and the processes of its telling that she ensnares the King. The story goes that Shahryrar, the King, discovered that his wife had been unfaithful and he is hurt and angry that she would betray his love. So he resolved to marry a virgin everyday and then behead her the next day so she wouldn’t cheat on him or get the chance to. He did this to 1,000 women until he was introduced to Scheherazade. Now, Scheherazade had studied and learned so many ways and legends and though she came from a good family, her father was against the marriage. Why give into a marriage that would result in death in 24 hours? Her Father was firm but Scheherazade gave in and she was with the King. However that night before she joined him in bed, she asked that he grant her one last wish, to speak to her sister, Dunyazade, before she joins him. So, when her sister was with her (word has it that this was planned) she asked Scheherazade to tell her a story. So, Scheherazade started telling a story and it was so riveting that the King was drawn to it, but as dawn approached she stopped. The King wanted her to continue but she insisted that they had to sleep and her sister was tired. They slept and that marked the end of her first night. The King did not do much in the day but he looked forward to hearing how the story continued and so Scheherazade told stories every night stopping almost at dawn. This went on until 1000 days passed, and on the 10001 day she ran out of stories. King Shahryrar had fallen in love with Scheherazade so much that he could not live without her and as such he made her his Queen. 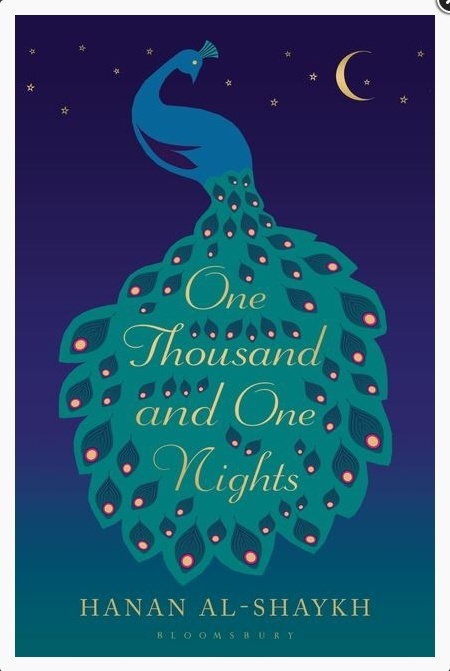 There have been many versions, translations and retelling of One Thousand and One Nights and it is not all about Scheherazade but it involves so many characters. I checked in with bookshops here in Kenya but I could not find it in their stock because I would love to read it. Scheherazade understood when to use cliffhangers and it’s an art, I am getting the jist of. I am impatient and when I’m left hanging, I choke the Writer in my head, but she used it to face her death and I find that not only smart but very stupid of her so I’m like, she’s better than me! So, if you’re into that story you can visit this site of forgotten books: http://www.forgottenbooks.com and delve into some ancient stories and classics. I’m still on the hunt for that book, I need a paperback or hardcover copy so I can breathe it all in. New Year, Old Goals, New Goals.